A hands off Bank Night Routine, and so much more. 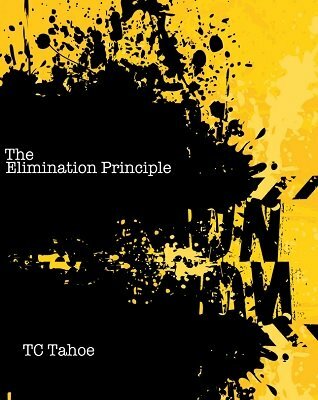 The Elimination Principle is the method behind TC Tahoe's "The Color Game", a simple and direct, Bank Night routine. This manuscript also includes a Safe Smash and Stab type effect. And one of TC's favorite routines for opening a show called, On the House. Simple, direct magic, that can work for a small group or a thousand. Play for laughs or are a serious mental piece. Ah, TC Tahoe, the working magician's magician. He has some of the best, most practical, and usable stuff around, and once again, he hits a homer for the low price of a ten spot. The Elimination Principle is TC's way of doing a completely ungimmicked version of Bank Night. Now contrary to some, I like Bank Night and can execute it nicely about a half-dozen different ways. TC's version uses a simplification of a ruse developed by Max Maven. When I saw how he used it, I thought, "Absolutely. It will work in a half-dozen different settings. Why didn't I think of it?" Anyway, the ungimmicked version of Bank Night is 100% examinable. One move--and it's easy and not dodgy at all--and you end absolutely clean. If that weren't enough, TC gives you a bunch of those different settings. They are all wonderful ideas. Alakazam has been selling out of late on Steve Cook's brand new Volition, a commercial version of an ungimmicked Bank Night. Folks are going nuts over it, and I have to admit, it's either the slickest or stupidest thing that I've ever seen. Maybe both simultaneously. But now that I've seen TC's Elimination Principle, I'm not sure you need to buy the much more expensive Volition, which, while clever, uses a knacky procedure. Summary: TC keeps his batting average high. Highly recommended.